Lung cancer and collapsed lung. 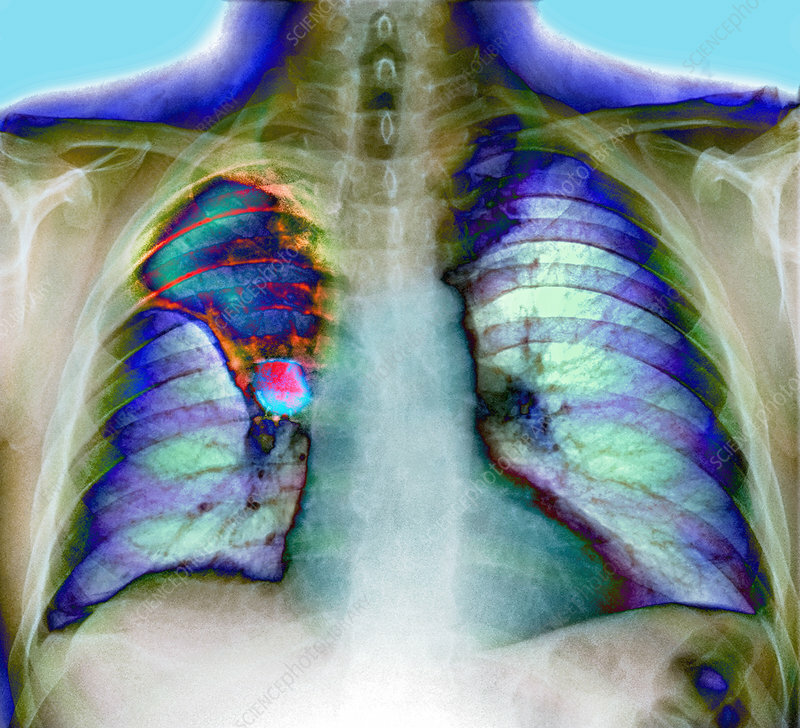 Coloured X-ray of the chest of a patient with a cancer in the right lung (at left). The cancer (pink/blue, round) is at centre left, just left of the mediastinal area that lies between the lungs. The heart is at lower centre and lower right. The cancer has caused the upper lobe of the right lung to collapse. This is shown by the curved line (red) to the left of the cancer. This line shows the upper boundary of the right lung, which is now greatly reduced in size compared to the left lung (at right). Treatment includes radiotherapy, chemotherapy and surgical removal of all or part of the affected lung.